At this time I want to show you something new on this blog that I never made before: videos. 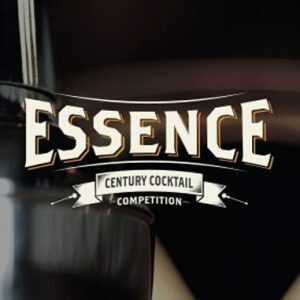 Yes!My own videos making cocktails!!!! 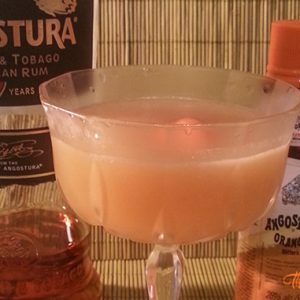 The Angostura Global Cocktail Challenge 2016 was the excuse to start making it…I hope you could understand the mistakes that I could made on it, because I was a bit nervous as a first-timer, but…well!All is knowledge on my tiki way, and next time I’ll improve and try to do it better!!! I’m going to talk a bit about the drink…it’s my Rum Cocktail for the challenge and I had to use at least 1oz of Agostura rums, 5 dashes of Angostura Aromatic Bitters and no more than 6 ingredients as a requirement. 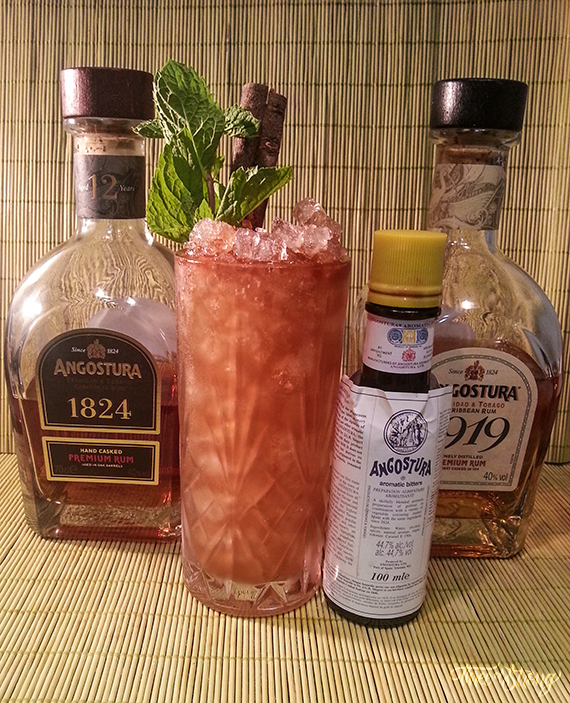 I knew the Angostura rums and I wanted to combine two of their rums, the 1919 and the 1824. I used the 1919 as a base rum, with his smoother taste with vanilla notes, and combine it with some 1824, more rich in flavor nuances and intensity, in which you could taste more the aging in the barrels. 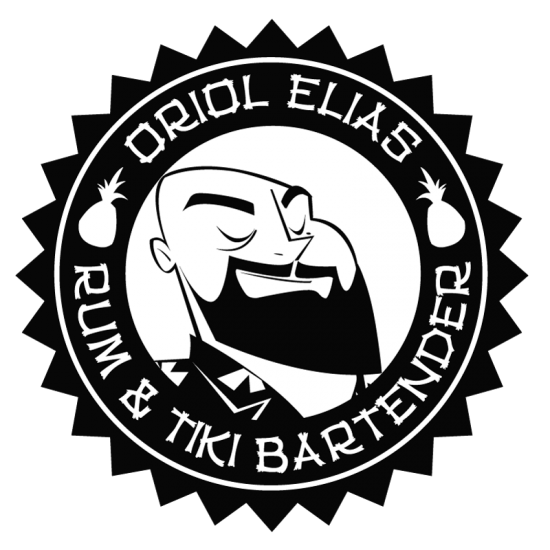 That’s how I found a more complex rum flavor for my drink. And the final flavor was rounded with a touch of Angostura Aromatic Bitters. I called it Port of Spain Swizzle, to reflex the origin of the rums (Trinidad and Tobago and his capital Port of Spain) and also the traditional technique of the swizzle which I used to mix the drink. I hope you could enjoy the video!!!! 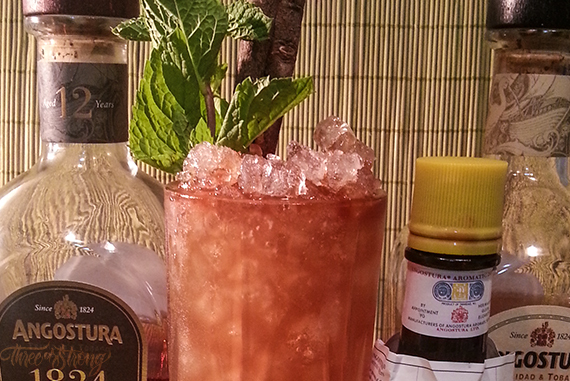 Official Rum Cocktail for Angostura Global Cocktail Challenge 2016 Spain. Add all the ingredients in a Highball but only 2 of the Angostura Aromatic Bitters dashes. Add ⅔ parts of crushed ice in the glass. Swizzle it with a swizzle stick(or barspoon). Add more crushed ice to fill. Add a float of 6 dashes of Angostura Aromatic Bitters. Garnish: Cassia or cinnamon stick and a mint sprig. Nice one Oriol! I hold my thumbs for you!